The Master of Public Administration compared to other popular Master's degrees in the same program area. Public Administration is an intriguing field that calls upon dedicated and educated professionals. In this sector of public service, professionals may be expected to work closely with the public to help provide services, products, or even support. Professionals that graduate with a degree in Public Administration may have the option to work as leadership professionals within public service agencies, hands on case workers or team leaders, and even government representatives. American University's Online MPA Program is a NASPAA accredited MPA program. Graduate with your MPAP in 24 months with a foundational skillset to build on for life, strengthening your ability to adapt to changing needs and advance within or across sectors. 100% Online MPA Program. Norwich University's Online MPA Program has 8 different concentration MPA programs you can choose from. Graduate in as few as 18 months. 100% Online MPA Program. No GRE or GMAT required. George Washington University's online Master's in Political Management is a 100% online program focused on applied politics, developing tactical skills for political leadership in electoral, advocacy, and other areas. No entrace exam required for qualified applicants. Concentrations in Public Policy and Management can even provide students with more skills that are relevant for management positions within non-profit agencies and businesses. If you think that this sounds like a career you could enjoy, you should consider the online MPA - Public Policy and Management. This degree program not only consists of topics that are relevant for policy-driven research professionals, but also management techniques and studies that can assist with finding meaningful careers leading groups of public service professionals. Our team of education experts has provided this guide in order to set you on track for a fruitful educational experience on your way to career success. What Makes The Concentration On Public Policy and Management Different? The online MPA – Public Policy and Management program focuses on the need for more educated professionals in the development and implementation of public policies across the country. Students that enroll in this program can potentially gain skills relevant to decision making and analysis within the non-profit sector, as well as other branches of public service. This degree program can also help students enhance their ability to increase the quality of public organizations through thoughtful planning of educational, health-related, and business programs. If you are interested in being a vital part to effective planning and management of non-profit organizations across the country, this degree program may be what you need to get started. There are online MPA programs all over the country with open programs for students to enroll in. Through online MPA programs, professionals can integrate performance-based theories to their every day work experience, thus improving their overall quality of work for years to come. How Does the MPA Differ From the MPA – Public Policy and Management? Different degree programs can consist of many different specializations that may lead students on various paths throughout their professional experience. Since there are so many diverse opportunities within the field of public service, students may find that choosing a specialization can help emphasize their skills and knowledge in a way that helps them obtain the job title they desire. The MPA program was designed for students that want to get their feet into the doors of public service, non-profit management, and business leadership. This program by itself can apply to students that are looking for a generalist path towards their destination. When added into the mix, the Public Policy and Management specialization can provide more focused information into public policy review, development, and implementation. Later in this degree program, you may see more courses that focus on these concepts than you would in generalist MPA programs. Some MPA programs may also be shorter in duration, since more courses are needed to accommodate for the chosen concentration. In addition to the course difference, the outcomes of both degree programs have the potential to show differences. While graduates from the MPA program may pursue careers within various aspects of public administration, students that choose a specialization may be a better fit for specific job titles within their service area. For example, Public Policy and Management graduates may be a better fit for positions that include the development, oversight, or analysis of public policies within an organization. 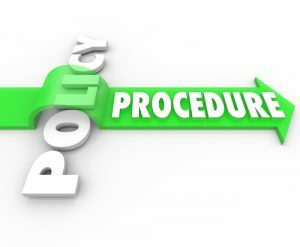 How Does the MPA – Public Policy Differ From the MPP? From an outside perspective, the MPA – Public Policy and the MPP may appear to be very similar. Both subjects are concerned with the development and implementation of helpful public programs, policies, and services. However, a closer look into each of these programs can enlighten you to the differences that are present between both programs. If you are considering either of these programs for your higher education program, it is important to acknowledge what each program has to offer prior to choosing the right one. Public Policy program is designed for students that want to work hands on with public service positions after graduating. A lot of the curriculum within this program includes courses that teach leadership techniques, policy implementation, and public relations. The social aspect of this degree program can help students learn how to apply their knowledge and skills within active positions in non-profit agencies or businesses that are concerned with the public agenda. The MPP program takes on a more theoretical and research-oriented approach to professionalism. This degree program may dive deeper into the constructs of public policy and include topics such as policy development and implementation, public policy analysis, and policy improvement. As a student of MPP programs, you may be better suited for careers at the government level – where policies begin – or within organizations that require constant innovation in the face of policy changes – such as healthcare or education. Although these degree programs appear to be related, they can actually lead to very different places after graduation. Each program has individual skills that are important to differing sectors of public administration. This comparison of degree programs can bring to light the importance of researching educational programs before enrolling. Sometimes the extra effort in researching can pay off tremendously. Program Evaluation: Program Evaluation can help students properly analyze and propose changes to current programming in place in public agencies. Through thorough review and analysis, students can help identify potential areas of change, ideas that require improvement, or overall program deficiencies that can hold companies back from their full potential. Performance Measurement: Student taking this course can gain skills necessary to evaluate the performance of businesses or non-profit agencies by comparing results to predetermined goals set by the organization. This can be achieved through initial planning, results reviews, and employee performance. The skills learned throughout this course can be beneficial during policy development and change processes that are common within non-profit organizations. Program Planning and Implementation: This course is a great resource for students that are interested in pursuing careers in business or non-profit organizations. Students may learn how to determine the need for specific programs, identify populations that can benefit from programs, and develop helpful programs that can increase efficiency, well-being, or business within different areas of society. As you will see in the list below, the MPA – Public Policy can potentially lead to careers in areas that you may have not considered when first beginning your search. Some people misinterpret the skills that are provided through MPA programs, and believe that there are limited domains to exercise their knowledge. However, there are many diverse opportunities for graduates within these programs. Public Policy graduates can seek out careers in agencies that provide a service to the public. Their roles within these agencies may be defined by their experience, knowledge, or interests. Public Relations Specialist: $66,540 on average per year (BLS). Social and Community Service Managers: $64,680 on average per year (BLS). Emergency Management Directors: $70,500 on average per year (BLS). What Will I Learn With A Public Management Concentration? Involving yourself in a MPA program can result in higher knowledge within the field of public administration, public policy, and management. If you choose the Public Management concentration, you can familiarize yourself with common concepts and ideas that work together to form effective and useful public services. Online degree programs in Public Management can provide you with the tools you need to exercise independent learning and individual research that is necessary for leadership professionals. Read along below to learn more about the topics that may be covered throughout this degree program. The Public Management concentration is focused on the management aspects of public administration careers. While management professionals are expected to have a diverse knowledge of business practices and policy, there are a few topics that may be more useful once getting into the field. One of the main concepts you can learn in this program is effective leadership. While this is an important topic for students that are interested in going as far as possible with their degree, it is integral to pursuing a career in public leadership and management. Managing employee conflicts, budgeting, and team-building are a few terms that may be discussed in this course. Courses within this program can help you approach difficult situations with confidence and provide support to employees with different levels of experience in the field. You may also learn more about the overall function of businesses and non-profit agencies. From an inside perspective, you can learn about the business relationships, partnerships, funding, and representation that take place within these organizations on a daily basis. During the program, you may be begin with business formation, follow with growth, and end with maintenance over the course of a business’ lifetime. It is important for students to comprehend the different stages of a organization’s lifespan in order to properly manage one in the future. Learning how an organization functions can also assist you in preparing to lead within that setting. In addition to the ins and outs of regular business practice, you can also gain more knowledge about the policies and regulations that are put into place to keep organizations running efficiently. Having a diverse understanding of the laws and restrictions within an agency can help you make lawful and effective decisions throughout your experience. Course work that focuses on policy development and evaluation can also prepare you for higher tier management positions, which is what a lot of students within these programs are seeking. Will The Concentration In Management Set Me Apart? Students that are intrigued with public service often find that Public Administration degrees are an excellent choice to meet their needs as professionals. These degree programs include a wide variety of topics that work together to form a better understanding of the overall function of non-profit and government agencies, the laws and policies that are related to this field, and the skills it takes to work effectively with the public. Degree programs that specialize in management can also help students learn how to properly work with large groups of employees in the field of public service. As you can see in the sections below, there is much that this degree program can provide in terms of career options throughout your future. Having a solid desire to pursue a certain career can make choosing a degree easier, but this is not the case for all learners. Those that know which field they want to work in but are unsure about the specific title they want may have a harder time choosing with major to follow. This program is a great option for students that are still open to different opportunities or just simply want diverse knowledge of the field of their choice. Are You Ready Find An MPA Public Policy Management Concentration Program? The MPA – Public Policy and Management is a degree program that can provide divergent options for students that are unsure about where they want to be professionally. Starting with the very basics of Public Administration, students can grow in their understanding of public policies and management throughout their educational program. As you move through this program, you can build upon your existing knowledge to become an expert within the field of Public Administration. All in all, the MPA – Public Policy and Management degree program is a great choice for upcoming leadership professionals that want the most out of their education. Through thorough studies into the policies, leadership methods, and tools associated with non-profit and government agencies, you can learn to become a vital asset to organizations that provide public services to society. Schools all over the country are searching for qualified applicants to become a part of their programs. There is no better time than now to enroll.